WANDERLOVE places & tumblr launch! 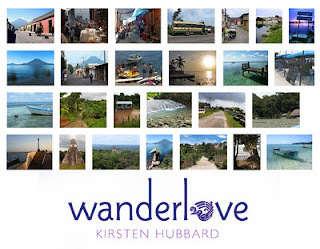 Kirsten Hubbard’s new book, Wanderlove, is set in Central America. But not just in one location -- in over a dozen! Wanderlove settings range from bustling capital cities to dense rainforest to tiny Mayan villages to idyllic Caribbean islands, and each is special in its own way. Most exist in real life; all are based on real life. We’re very excited to share these amazing places with you in the novel -- and on the brand new Wanderlove-themed Tumblr site. The site is all about favorite places: in Wanderlove and beyond, Kirsten’s places and YOUR places. That's right. We want you to participate! wanderlove is about celebrating our favorite places, and experiencing each other's. take a photo, or find a photo (one you’ve taken yourself & have the rights to) of your favorite place. it could be a place you’ve traveled to, long ago or recently; a special spot in your neighborhood, city or town; or even in your house or backyard. be as creative as you want. include a few sentences about why the place is special to you – why you *get* it, why it sticks in your heart. thank you! You can also submit via email at wanderbooks (at) gmail (dot) com. Everyone who submits an image and response between now and March 5th (the day she gets back from Central America) will be entered to win one of three signed, annotated and butterfly-doodled hardcovers of Wanderlove. They'll be super-special, even if you've already pre-ordered the book (and I so so so hope you have)! The giveaway will be open to anyone, anywhere in the world. If you participate, make sure you include your name and email address (don't worry, the latter is confidential and only for use if you win). 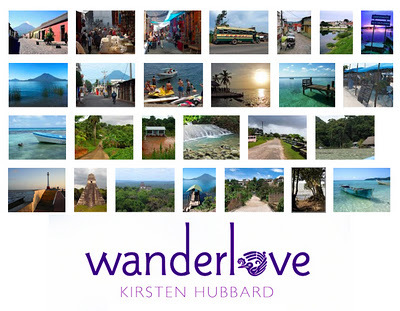 Kirsten will also be featuring all the destinations in Wanderlove, with photos she took herself over the years. She’ll cross-post her personal Wanderlove posts here as well as Tumblr, so you can follow along on Bria's journey in either spot. You can also ask her questions about Wanderlove, backpacking, or writing, and she’ll do her best to answer them on the site -- or in video form from Central America, where she’s currently backpacking through Central America! Why not submit a photo of your favorite reading spot? her trademark wit and wisdom in a hilarious new novel. Seventeen-year-old Sadie is in love: epic, heartfelt, and utterly onesided. 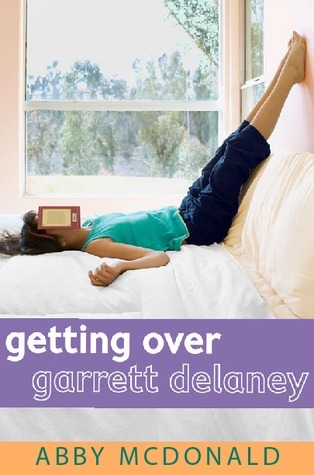 The object of her obsession - ahem, affection - is her best friend, Garrett Delaney, who has been oblivious to Sadie's feelings ever since he sauntered into her life and wowed her with his passion for Proust (not to mention his deep-blue eyes). For two long, painful years, Sadie has been Garrett's constant companion, sharing his taste in everything from tragic Russian literature to art films to '80s indie rock all to no avail. But when Garrett leaves for a summer literary retreat, Sadie is sure that the absence will make his heart grow fonder - until he calls to say he's fallen in love. With some other girl! A heartbroken Sadie realizes that she's finally had enough. It's time for total Garrett detox! Aided by a barista job, an eclectic crew of new friends (including the hunky chef, Josh), and a customized selfhelp guide, Sadie embarks on a summer of personal reinvention full of laughter, mortifying meltdowns, and a double shot of love. Starting this book I loved. There was defiantly a connection between Sadie and Garrett. They both love the same things, and could talk and talk all day with each other. But when one gets accepted to a camp, and the other doesn't that's when things went down hill for me. She got a job, and connected with many other people (which was the neat part) But those people wanted to make sure she got over Garrett immediately which was the part I didn't like. She had such a good connection and all of a sudden it was going to be over. Sadie then doesn't answer Garrett and poor Garrett, I can only think what he was thinking. I would have been upset. It mentions Josh up there. He treats Sadie just like he treats the other girls at work, but everytime he was bought into the picture it was hard not to guess that there wasn't a connection there. Overall it was a good read. 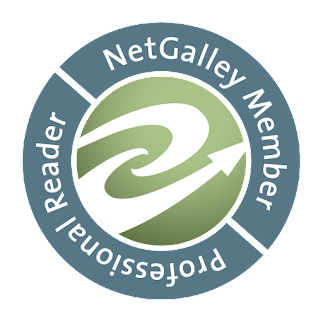 Thanks to Netgalley and Candlewick Press for letting me read this! Each section of this book was a new doll and a new time that Miss Kanagawa, the friendship doll, came to know by watching. This setup was different for me and I had to get used to it. From 1928 to present time, Miss Kanagawa helped the dolls in her own way. Mostly the book described people from earlier times. It also explained what friendship dolls were really about. I learned some interesting facts about the time periods in this book. Although I didn't think this novel was very intriguing in the first and last chapters overall I enjoyed it. 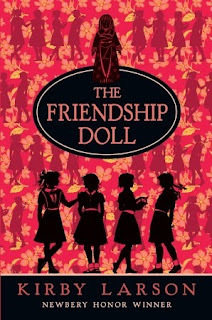 I would recommend The Friendship Dolls by Kirby Lawson to girls aged eight to twelve. Never Give Up. Never Back Down. Never Lose Faith. These were the most important words ever used, and said. Ones that are put into place in the story. Grant Taylor has had six consecutive losing seasons, as a high school football coach. He believes that nothing else could possibly go wrong. But he's wrong. With failure and fear over powering him, this coach, and husband turns to God for help. Trusting God somehow did the impossible for the Shiloh Christan Eagles, as they soon discover how faith plays out of the football field. What an emotional read, and more importantly an inspirational read! When they had given up strength was here to pick them up. After seeing the movie, I read that there was a book. I immediately went searching for it and read it. I loved the movie, and I must say the book was just as good. The book went into a deeper meaning which I love. I got to figure out certain things, that I didn't get a chance to see in the movie. In the book we got more of a background on David and Larry, a more behind the scenes look of Coach Duke, a better understanding of Mr. Bridges and his dedication to the football team, a background of Grant and Brooke, and better understanding of the interaction the footballers had with each other... and of course... The Georgia football history. Lets also not forget the Death Crawl... but you have to see or read to figure that out. If you liked the movie, you would really want to read the book, and if you read the book and didn't see the movie... Then you want to see the movie!! **Watch out! I think I'll be also reading Fireproof, and Courageous. They are all based on the screen play by Alex and Stephen Kendrick!! This is the trailor for the movie. What girl doesn't want to be surrounded by gorgeous jocks day in and day out? Jordan Woods isn't just surrounded by hot guys, though-she leads them as the captain and quarterback of her high school football team. They all see her as one of the guys, and that's just fine. As long as she gets her athletic scholarship to a powerhouse university. But now there's a new guy in town who threatens her starting position... suddenly she's hoping he'll see her as more than just a teammate. I LOVED this book! It was amazing! The romance, the relationships, it's not often you see all of this in a book! One of my favorite parts of the book, is the relationship Jordan has with her teammates. They get along really well, and you don't always see that much acceptance when it comes to boys and girls playing on the same sports teams. I play golf, and basketball, and I love playing with the opposite gender! They are competitive in many different ways, and they also love to have fun! Girls Playing with Boys: According to statistics there are over 1,200 female high school football players across the country. What are some of the positives and negatives of blurring the lines between female and male sports? Do you support it? - YES! I definitely support this for many reasons! There are many positives to this experience. You get to experience a different level of competition. Boys seem to be more competitive at certain things! Girls think differently then boys. Therefore in a sport the opposite gender might have a more genius idea about a certain play than another. However they our some down falls. Boys can be stronger than girls (SORRY LADIES! ), also there is the possibility of not getting equal opportunity since we look at males being more tough. Breaking through the Ranks: Jordan is symbolic for the many girls/women who choose to fight the status quo. What have some of your own experiences been like? - This can be hard for any female. In some ways being a female you feel that you're hair has to be done perfect, you're shoes have to be in style, your clothes must all match from head to toe, and that you should be involved in all the girly stuff! I really have to disagree with that. Everyday (except like 5 days of the year) my hair is up in a pony tail. I don't have the time to straighten, or have the energy, and nor do I care! I wear sweats everyday except Fridays. (I try and make an effort to put on jeans, and either my school spirit top, or a nice top) If someone wants to like me in any way they will like me for the way I am, and tough fudges if they don't! It is their loss! I don't feel that I need to change because someone wants me to. I will stay the same and that will never change. You are you, and you should never change, just to get someone to like you. Someone does like you, and I don't think any girl should ever feel different. Untraditional Romance: Catching Jordan puts a great emphasis on the untraditional relationship and character role Jordan possess in the book. What effects (if any) do these types of relationships have on kids and people today? Is it important for people to be exposed to them? -I feel people should date who they want. In this case it is not the most "traditional" relationship. Jordan isn't the best looking girl around, yet she is dating one of the hottest boys around. I think that anyone should get to choose their relationship, and you don't have to do what every person says you should do! This exposes people to be the person they really are instead of the stereotypical image we are told to be. 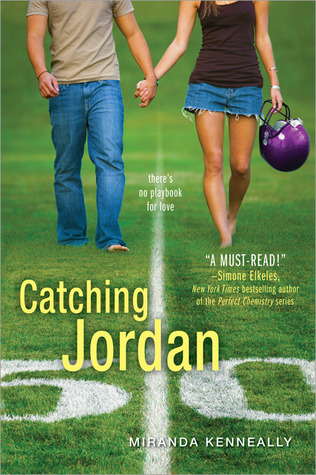 Here is my interview with Miranda Kenneally, the author of Catching Jordan. Where did the idea for the title Catching Jordan come from? Originally the book was called SCORE, but we needed to find something less racy! So my publisher and I put together lists of hundreds and hundreds of possible titles. 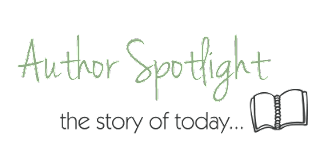 We came up with some very corny stuff, but finally CATCHING JORDAN was suggested during a meeting at Sourcebooks. Everyone liked it! A friend of mine suggested "This Gridiron Aint in the Kitchen" but we didn't go with that. Obviously. Who's your favorite character in Catching Jordan and why? Jake Reynolds, the pervy guy who's friends with Jordan's brother, Mike. Jake is just hilarious to me. He's definitely a jerk at times, but he's a good friend to Mike and he acts real. Plus, he's the only person ever who can successfully deliver terrible pick-up lines. Is this book based on any real life events? A few things. 1) We totally had a Jonah and the Whale hallway at my church when I was little. It freaked me out! 2) A guy friend of mine wouldn't let me buy checkered bedding because he thought it looked like graph paper. 3) We had to take care of electronic babies in middle school. Which character did you have the hardest time writing? Jordan's dad. It was hard to get his worries and character development across without being too blunt. I'm still not sure I succeeded. Are you anything like Jordan?Oh yes! I can't stand giving up. I try, try, try at everything I do. Thank-you Miranda for doing this! I appreciate it! 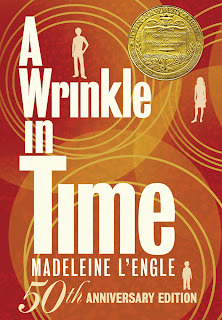 This Saturday, February 11, 2012, marks the 50th Anniversary of A Wrinkle in Time. Just complete the entry form! All entries must be in by Friday, Februrary 10, 2012 at 11:59pm, EST. Winner will be picked Saturday, February 11, 2012 during the 50th Anniversary Celebration! The comment section will NOT be used for entries - please do not leave your email address in the comments. 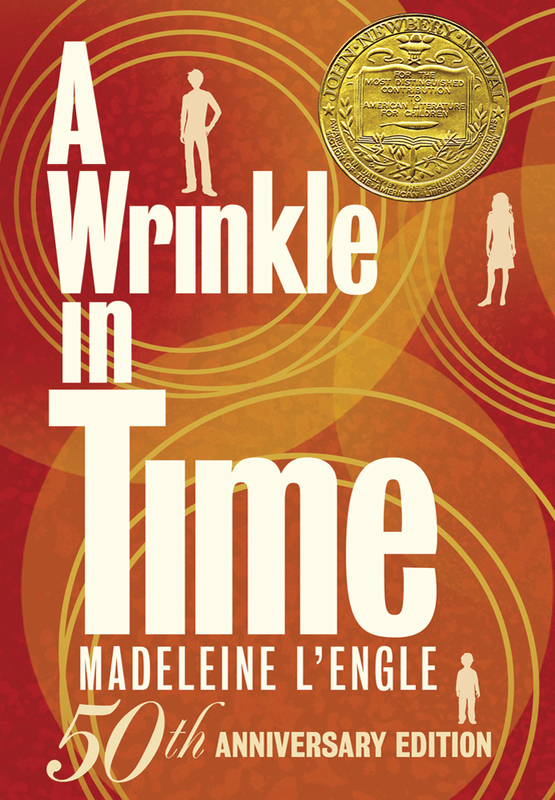 Update: Wrinkle in Time pack awarded to Pragmatic Mom! Battle of The Kids' Book 2012 - It's HERE! Yes! The School Library Journal Battle of the Kids' Book officially kicks off today with the posting of the The LIST! These 16 titles will battle it out for King of the World, er Best Kid's Book of the Year!! This will be my third year participating and I am psyched! I am challenging myself to read all 16 titles BEFORE the battle begins on March 13th. There will be a pronouncement from some cool kid's book author-turned-judge EVERY DAY except weekends! You gotta be on your toes for this one!! The throw-down is fast and furious and the winner will be crowned on April 2nd. Make sure you bookmark the Battle Page and download The Brackets and visit the site each day. Soon we'll meet the judges but in the meantime, let's get reading! As a proud member of The Nerdy Book Club, I've read 12 of these already! BUT, I haven't read them in this order!! I'm going to read all of the books in the order listed (same as brackets) so I can do a comparison of each and try to guess the winner before the judges do! I've only got six weeks to get all the books, read them and write about them!! ACK! The only thing left to decide is buy or borrow?? ?